Janet Phelan is an investigative journalist with New Eastern Outlook. She is the author of EXILE, which discusses the circumstances under which she fled the United States. Janet focuses on issues related to legal corruption and maintains a special interest in biological weapons. Cary Andrew Crittenden is an activist who is currently incarcerated in Santa Clara County Jail. Crittenden has become outspoken against corruption in Santa Clara County and has now been repeatedly jailed in that locale. Breaking News Please listen to an emergency interview with whistleblower Jodi Davies of Michigan , probate court destroying her life! No accusation of any crime whatsover . She has not been indicted or even arrested . They have no material evidence of any crime or offense . She is obviously not a danger to herself or others . Difficult to believe isnt it ? Its happening . apparantly her mother is taking the side of the corrupt coporate court because the family wants to sell the grandmothers house where grandma and Jodi live and the mother cannot get her hands on the money until the house is empty and grandma is institionalized alomg with Jodi . also lots of state money for the witches court and the mental hospital so there is the incentive of greed plus they can quiet a patriot and truth-teller …. Please call Judge John D Tomlinson behalf of Jodi Davies tell him you’re watching this case! This summary is just an overview of the applicable laws. For more complete information, you should refer directly to statutes about guardianship and advance directives, http://www.mainelegislature.org/legis/statutes/18-A/title18-Ach5sec0.html ; to the statutes about involuntary commitment with involuntary treatment ordered, http://www.mainelegislature.org/legis/statutes/34-B/title34-Bsec3864.html; to the statute about clinical review panel process,http://www.mainelegislature.org/legis/statutes/34-B/title34-Bsec3861.html; or to the Rights of Recipients of Adult Mental Health Services regulation RightsRecipientsconcerning administrative hearings for involuntary treatment or treatment during psychiatric emergencies. St. Clair County Community Mental Health is governed by a 12-member board of directors. The Advisory Council for Families and Persons with Developmental Disabilities of St. Clair County advises the Adult & Family Services Division of St. Clair County CMH. The membership consists of interested residents of St. Clair County; representatives of individuals receiving CMH services and their families, and representatives of advocacy organizations and human service agencies serving people with developmental disabities. For more information, contact Tracy Duncan at (810) 985-8900. The Advisory Council for Families and Persons with Mental Illness advises the Adult and Family Services division of St. Clair County CMH. The membership consists of St. Clair County residents who represent individuals receiving CMH services and their families; representatives of advocacy organizations and human service agencies serving individuals with mental illness; and other interested community members. For more information, contact Tracy Matthews at (810) 985-8900. The board meets on the first and third Tuesdays of each month at 6:00 p.m., unless otherwise noted. Whats really going on in Oregon with the Patriot Militia Protest latest News! NY war on gun owners has begun with assault on Patriot Shane Bennett family. Emergency phone blitz ! Help patriot Shane Bennett 585-329-8154 war on gun owners has begun with assault on Shanes family judge Kocher 585-412-5278 signed a warrant that has Shanes name NOWHERE ON IT Also NO grand jury was heard so this entire matter is disarmament and property theft ! 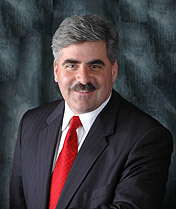 DA Mike Tantillo has been sued for witholding evidence and sanctioned by the courts google him 585-396-4010 require he send you copies of indictment and sworn affidavit or drop the charges ! Storm trooper Hainsworth 585-398-3200 and his S.O.R.T. UNIT are liable for criminal trespass , grand larceny , deprivation of civil rights , conspiracy against civil rights and operating as highwaymen under color of law and out of constitutional jurisdiction ! call chamber of commerce CEO Donna Borulla 585-394-4400 Hit em in their wallet ! make it clear : no freedom loving americans will be shopping in Ontario County NY or their precious resort of Canandaigua Lake ! CALL and DONT STOP ! You can call every day if you have a legitimate purpose and you do ! thank you observer’s ! I thought a good place to start would be with the revocation of the Birth Certificate. I think that if more people knew about this information, we as good Americans could take back our country from the criminal corporate Banksters. With the truth and the Laws on our side we as Patriotic American who knowing and following the true laws of the Land! So I give you the key to freedom its knowledge and knowledge is power! Do with it what you must to set yourself free! That is to say, corporate personhood is fraud… So is our birth certificate. 1) print out a birth certificate change form; some financial birth bonds have a change form on the back. 2) enter these three field to be changed: State file id number, date of birth, and “name” as per stated on the bond. This terminates the fraud known as the birth bond. from State enfranchisement and benefits or losses derived therefrom. a certificate of birth in behalf of our child, and obtained the same. as lawful documentation, and only deaths were a matter of public record. State may be compelled to produce said record without my permission. we were possibly waiving some of our child’s rights. said performance causes a damage or injury to another natural person. 7th, and 9th Amendment rights. Unalienable rights granted by his Creator. best of my belief and knowledge. Further This Affiant Saith Not. without prejudice to any of those rights (U.C.C.1-207). Okay, lets take this as it needs to be stated. A “Citizen” belongs to the state, whether there is a capital “C” for a common law citizen, or a small “c”, denoting citizenship awarded under the 14th amendment. A “sovereign” is one with full sovereign power. A “Sovereign Individual”, as defined and recognized by the Supreme Court of the united States of America, is one of the “People” a.k.a the founding fathers or the others that fought and won in the revolutionary war, or their “Prosperity”, any of their progeny, or any common law or 14th amendment citizen, who through the compact of the Constitution of the united States of America LENDS any part of their sovereign power to the government. An “adhesion contract” is a contract whereby through your acceptance of a benefit, you also LEND or GIVE away another sovereign to those that represent you. When you file for social security, you contract to become a ward of the state, stating you are incompetent to provide for your future needs without it’s interference, and by accepting their matching funds, you contract to pay for that funding with taxes as a corporation. However, you are never disclosed that fact. So under UCC 1-207 which was renumbered to 308 to confuse the issue, you did not sign that contract “knowingly, willingly and intentionally” which is required for a contract to be binding, as the “meeting of the minds” element cannot be met without full disclosure of all of the elements of the contract, including your self incrimination to being “incompetent” under the 5th Amendment. This is why an “out” is still maintained in the form of an SS revision form to withdraw as a corporation. Such a withdrawal then removes you from the tax system, as the code (Title 26) self defines it’s authority as binding only to 1. Elected Officials, 2. Government employees, -AND- 3. Officers of a Corporation (Which your application for a SS# creates out of you). This all boils down to 2 simple issues. 1. NEVER use the term “Sovereign Citizen”, especially in a public venue (such as this very web page. The term is a legal Oxymoron with no standing, which in court will make you look as incompetent as they claim you to be. Always use the term “Sovereign Individual” as the very term itself was coined by, and is fully recognized by, the SCOTuSOA. This and puts everyone on notice that you are NOT incompetent. Further This Affiant Saith Not. Subscribed and affirmed to, Nunc Pro Tunc, on the date of my majority, which date was ___ / ___ / ___. John Q. Doe, Citizen/Principal, by Special Appearance, in Propria Persona, proceeding Sui Juris, with Assistance, Special, with explicit reservation of all my unalienable rights and without prejudice to any of my unalienable rights. On the ______ day of ____________, 199___ Anno Domini, before me personally appeared John Q. Doe, personally known to me (or proved to me on the basis of satisfactory evidence) to be the Person whose name is subscribed to the within instrument and acknowledged to me that he executed the same in His authorized capacity, and that by His signature on this instrument the Person, or the entity upon behalf of which the Person acted, executed the instrument. Purpose of Notary Public is for identification only, and not for entrance into any foreign jurisdiction. Your letter to me dated March 23, 1992 acknowledges receipt of my signed and notarized revocation affidavit, referenced above. I am writing this letter in order to address the two statements contained in your letter, and to rebut any presumptions which could or might be conclusively established by allowing your two statements to remain unchallenged. Although this statement may, in fact, be technically and generally true, it is irrelevant to the specific issue at hand, for several reasons. First of all, it implies that my original birth certificate, on file in your office, was “properly filed”. You have made this statement contrary to numerous facts which are contained in my revocation affidavit. You have now had ample opportunity to rebut any and all of those facts, and you have not done so. Accordingly, your failure to rebut anyof those facts now renders them all conclusive, permanently for the record. You are now forever barred and estopped from challenging those facts as stated. Therefore, my original birth certificate was not “properly filed” as you incorrectly attempt to imply. As a member of the Sovereignty by right of birth and hereditary succession, I belong to that group of people by whose authority the Massachusetts State Constitution was created. The Massachusetts State Legislature was created, in turn, by that Constitution. The “Massachusetts law” to which you refer is, in turn, a creation of that Legislature. Regardless of your status prior to becoming a State employee, your current status as a State employee necessarily subjects you to the letter of that “law”. I am not subject either to the letter or to the spirit of that law, however. Even though you are evidently restricted by law from unilaterally rescinding a birth certificate, I am not subject to any such a restriction. As someone who has explicitly reserved all my unalienable rights without prejudice to any of my unalienable rights, I specifically retain my right to unilaterally revoke and cancel my original birth certificate, for the several reasons stated in my affidavit, and to render it null and void from its inception. The affidavit which I have filed with your office is prima facie evidence that I have, in fact, exercised that right, the exercise of which is entirely within my Sovereign power and authority to do. Moreover, you are evidently unaware of my prior written correspondence with Governor William F. Weld, in which I documented the fraud to which the Commonwealth of Massachusetts is an “accommodation party” as defined in the Uniform Commercial Code. If you have any need to obtain copies of this correspondence between me and Governor Weld, I recommend that you first contact the Governor’s staff for assistance. Alternatively, Governor Weld’s office has personally informed me that my notice to him, with attachments, has now been forwarded to the offices of Senator Edward M. Kennedy, United States Senate, Washington, District of Columbia. Governor Weld’s office did not challenge or rebut any statement of fact contained in my correspondence to him, except to suggest incorrectly that the issues which I raised were not within his jurisdiction. Senator Kennedy’s office has not responded to me in any way concerning the materials which he received from Governor Weld. The Commonwealth of Massachusetts is bound by the provisions of the Uniform Commercial Code (see MCLA c 106 Section 1-207). The conclusive facts as stated in my revocation affidavit now constitute material proof that my original birth certificate was an unconscionable contract ab initio because, among other reasons, it was lacking in meaningful choice on my part. You have already been notified, and I hereby notify you again, that I have explicitly reserved all my unalienable rights, without prejudice to any of my unalienable rights. This means that I explicitly reject any and all benefits of the Uniform Commercial Code, absent a valid commercial agreement which is in force and to which I am a party, and cite its provisions herein only to serve notice upon all agencies of government, whether international, national, state, or local, that they, and not I, are subject to, and bound by, all of its provisions, whether cited herein or not. Furthermore, my explicit reservation of rights has served notice upon all agencies of government, including but not limited to the Commonwealth of Massachusetts, of the “Remedy” which you must provide for me under Article 1, Section 207 of the Uniform Commercial Code, whereby I have explicitly reserved my Common Law right not to be compelled to perform under any contract or commercial agreement, that I have not entered into knowingly, voluntarily, and intentionally. My explicit reservation of rights has served notice upon all agencies of government, including but not limited to the Commonwealth of Massachusetts and all of its assignees, that they are all limited to proceeding against me only in harmony with the Common Law and that I do not, and will not accept the liability associated with the “compelled” benefit of any unrevealed commercial agreements (see UCC 3-305(2)(c)). You are under the obligation of good faith imposed at several places in the Uniform Commercial Code (see, e.g., 1-203). My valid reservation of rights has preserved all my rights and prevented the loss of any such rights by application of the concepts of waiver or estoppel. This statement is clearly incorrect because it is a non sequitor, in light of my responses in this letter to Statement #1, and particularly in light of the conclusive facts as stated in my revocation affidavit. As an unconscionable contract the primary purpose of which was to offer me into a State trust, to be regulated as other State and corporate interests without my full consent of majority, this birth certificate is null and void from its inception, as are any rights of interest which may, now or in the future, be claimed as a result of any conveyance or reconveyance thereof to undisclosed third parties. Your attempt to assert its validity in the face of contrary evidence is noted and can be used as prima facie evidence of your willingness to violate and otherwise contravene my unalienable rights and my Constitutionally secured rights as a Sovereign Freeman. These rights include, but are not limited to, those which are enumerated in my revocation affidavit. You are hereby warned that you can and will be held personally liable for any further attempts to violate my fundamental, unalienable rights by acts on your part which attempt to compel my specific performance to any third-party debt or obligation created through the unlawful conveyance, conversion or other instrumentality of an invalid birth certificate. As an employee of the Commonwealth of Massachusetts, you are under a legal obligation to recognize that “Constructive fraud as well as actual fraud may be the basis of cancellation of an instrument,” El Paso Natural Gas Co. v. Kysar Insurance Co., 605 Pacific 2d 240 (1979). Your ignorance of the law is no excuse in this matter. If you are unsure about your own legal situation in this matter, may I recommend that you contact the State Attorney General’s office for advice and assistance. For your information, I am not subject to any foreign jurisdiction by reason of any contract or commercial agreement resulting in adhesion thereto across America, nor are millions of other Sovereign Citizens, unless they have provided waivers of rights guaranteed by the Constitution by means of knowingly intelligent acts, such as contracts or commercial agreements with such government(s) “with sufficient awareness of the relevant circumstances and likely consequences”, as ruled by the U.S. Supreme Court in Brady v. U.S., 397 U.S. 742, 748 (1970). I have given no such waivers, nor is it possible that I could have given such waivers by reason of a birth certificate executed by other parties long before I was even able to speak or write, and long before my age of majority. Therefore, the birth certificate at issue is necessarily null and void, ab initio, notwithstanding any and all unsubstantiated statements by you to the contrary. If I do not hear from you within ten (10) calendar days of the above date, I will be entitled to the conclusive presumption that this matter is settled. Thank you very much for your consideration. 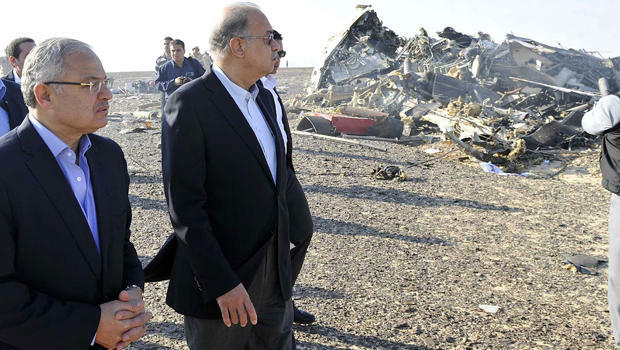 ISLAMIC State militants have claimed responsibility for the downing of a Russian passenger plane which crashed in Egypt killing 224 people. Putin declared a day of national mourning for Sunday. The passengers included 214 Russians and three Ukrainians.